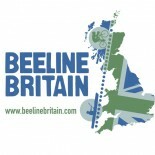 Beeline Britain’s chosen charity is Blesma, The Limbless Veterans. We would be very grateful if you could consider making a donation. You can donate online, send a cheque or simply send a text message.